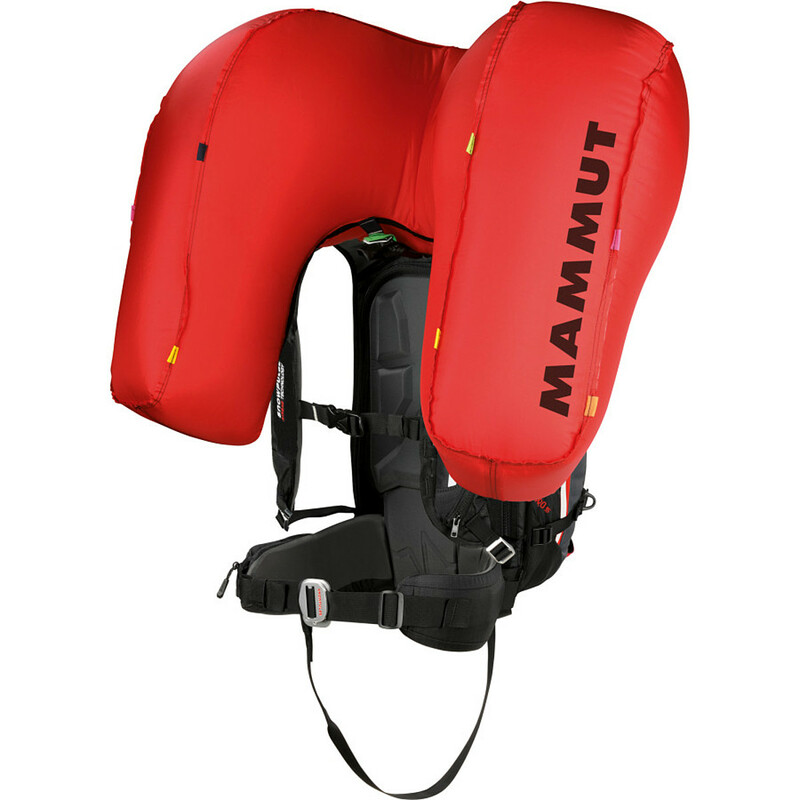 Visit Mammut's Pro Protection Airbag page. Made for guides and serious backcountry enthusiasts, the roomy and robust Mammut Pro Protection Airbag pack contains an inflatable airbag to help keep you at or near the surface during an avalanche. 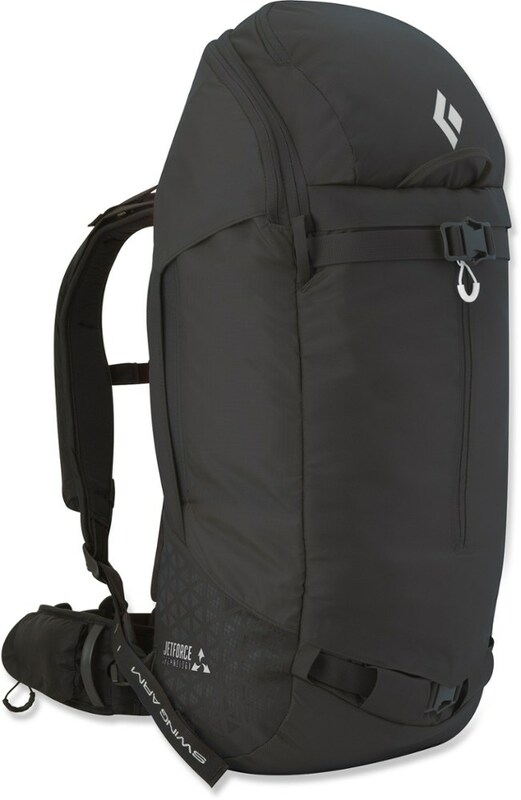 The 35 L Pro P.A.S. was designed with professional guides and mountaineers in mind. 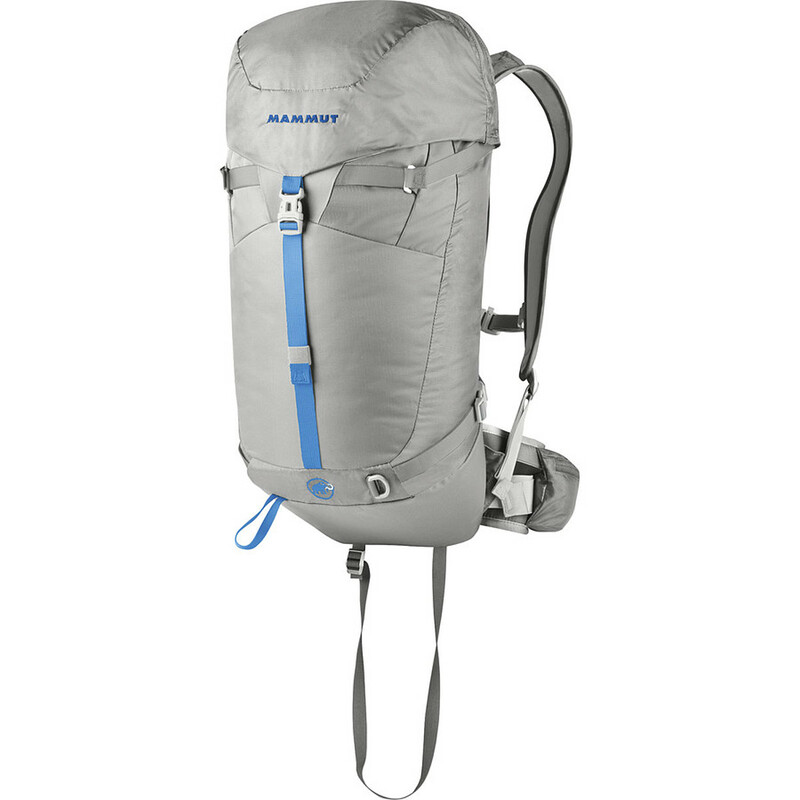 The materials used on this pack are durable and long-lasting, including the metal accents, thick stitching, ergonomic back panel, and zipper tabs that make organizing your gear easier. Compression straps help keep your load small and easily managed no matter how far you plan on trekking during your next adventure. 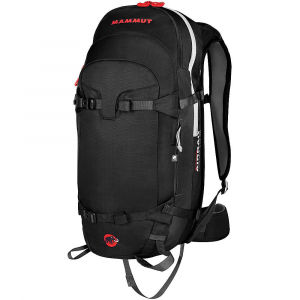 Pro-Tip: When you see the word "Pro" in a Mammut airbag backpack's name, it means the interior of the backpack is accessible from both the front and the rear. P.A.S. = Protection Airbag System Mammut put the "protection" in this high-end airbag system with a unique airbag shape that wraps around the user's head when deployed. 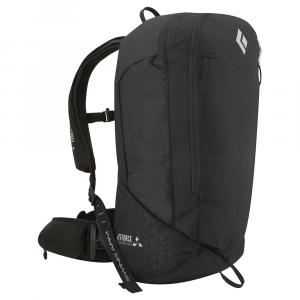 The airbag itself stows in the backpack's straps when it's NOT deployed. The shape of the airbag when inflated prevents head trauma during a slide. The airbag also helps keep you face up after a slide. Great for skiers, not so great for riders The P.A.S. unit's unique airbag shape limits peripheral visions significantly. When inflated, the airbag "wraps" the user's head. This is fine if you're pointed straight forward, as when skiing. Bent Gate recommends a more conventionally shaped airbag if you spend your time riding in the backcountry rather than skiing in it. Interchangeable pack options The P.A.S. airbag system is removable, and you can install it in any P.A.S. compatible pack. Like the ABS Vario, you can swap the airbag unit to a larger or smaller pack depending on the adventure you have planned. Consumables Both the Mammut P.A.S. and R.A.S. 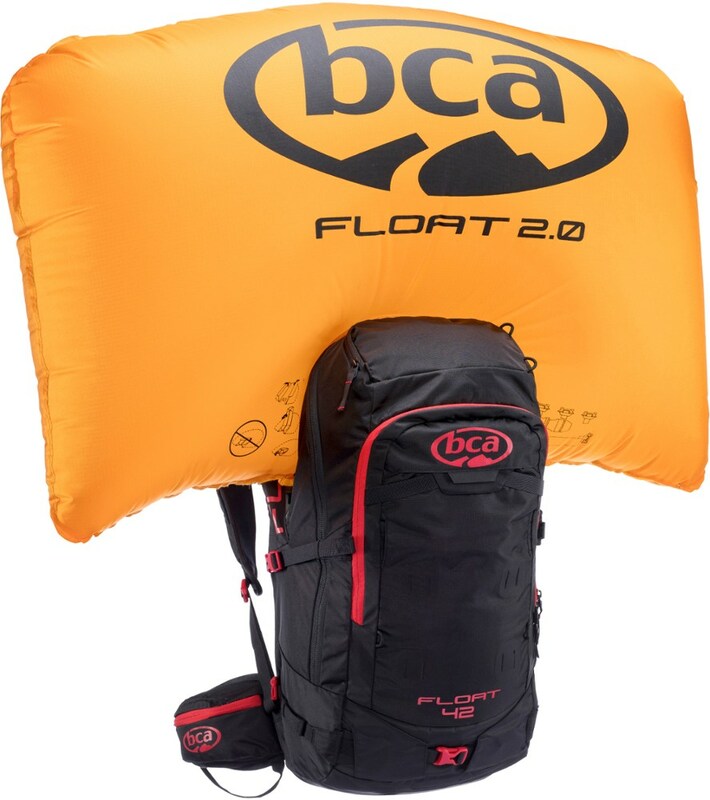 systems use compressed air, like the BCA airbag units. Unlike the BCA units, the P.A.S and R.A.S. systems use a part called a "blast washer" that must be replaced after every airbag deployment. Blast washers are available in packs of 5 and 25. 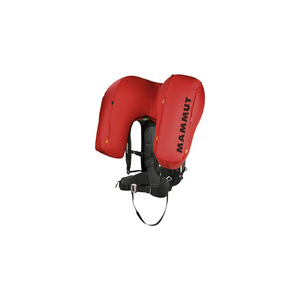 The Mammut Pro Protection Airbag is not available from the stores we monitor. It was last seen April 5, 2017	at Mountain Gear.